A couple of people have mentioned about the shorter blade on the GN PP and that not being tall themselves means it shouldn’t be a problem. Does this mean that if you are taller (I’m 6’2) the PP would be harder to get on with? Any taller guys on here got a shorter blade, longer handle set up they use regularly and can comment on this? I've got a couple, never had any problems using them although it does change the balance so can see why some don't like it. However, isn't the problem with the Pro Performance is that it's not your usual sb/lh setup but that the whole bat is actually shorter than standard? Worth checking to make sure. Is it really a smaller bat? 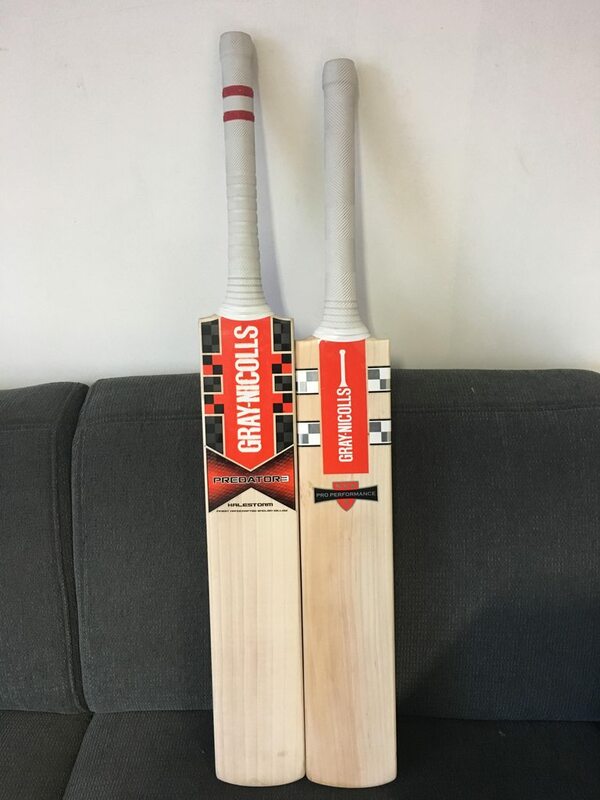 All the adverts (and the GN catalogue) talk about a 1 inch shorter blade, but they say it is a SH bat so assumed the handle was longer to make up for the blade? Surely if the whole bat was 1 inch shorter they couldn't call it SH? @Seniorplayer can you confirm if it is indeed shorter than the usual SH? Get a GN Select Extreme. Cheaper, similar edge sizes and performance with Full SH size. IJC just picked one for me at 2-11.7. Semi Oval thinner handle, 47 mm edge, 27 toe & it picks much lighter. IJC just picked one for me at 2-11.7. Will post pics soon. Page created in 0.602 seconds with 36 queries.